Overcome everything that stands in your way inside the all-new 2019 Honda Passport SUV. We are happy to introduce the all-new Honda Passport. 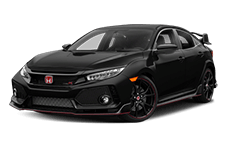 With the all-new Passport, Honda has created a mid-size sports utility vehicle that is jam-packed with exclusive safety, performance and technology features that are sure to improve - not only your daily commute - any adventure you go on. Now you’ll have the only tool you need for a long journey. Under the hood of the new 2019 Honda Passport, drivers from around the Brandon, Florida area will find a 280 horsepower V6 engine, plus with an All-Wheel Drive and Intelligent Traction Management system you’ll be able to take on any terrain that is thrown your way. If you are interested in seeing the performance features of the new 2019 Honda Passport, contact our Brandon Honda Dealership to schedule a test drive with our team today. And during your test drive, take notice of the up to 5,000 pounds of towing capacity found on the new Passport. The new 2019 Honda Passport comes loaded with possibilities with the over 50 cubic feet of cargo volume. Plus, if you fold down the second-row seating, you can enlarge that space up to 100 cubic feet. And with the new Passport, access to your tailgate has never been easier with the hands-free access power tailgate. Now with a wave of your foot under the rear bumper, your tailgate will open on its own. Do you like what you see with the new 2019 Honda Passport? You can upgrade to the new Passport by making use of our Brandon Honda trade-in program. Our trade-in program can help you trade-in your current sedan, truck or crossover and apply the value towards the new 2019 Honda Passport. Visit us and see for yourself how our team can help you get behind the wheel of the new 2019 Honda Passport. We at Brandon Honda invite all drivers from the Lakeland and Clearwater, Florida area to visit us our Honda Dealership to see the impressive Honda Safety features included in the new 2019 Honda Passport. With the new Honda Passport SUV, you can expect to find safety features such as the Road Departure Mitigation System and the Lane Keeping Assist System. Now you have safety systems that make your long drives on I-4 easier and less stressful. 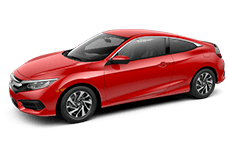 When you visit with us at Brandon Honda, you have access to a team of highly trained associates that will hard to help you find the right vehicle for your daily life. Whether you are looking at the new Honda Passport, or another one of our impressive Honda crossovers, sedans or trucks, we are here to help. If you are interested in learning more about the new 2019 Honda Passport SUV, visit with us today. And don’t forget to meet with Zeus, our dealership mascot.